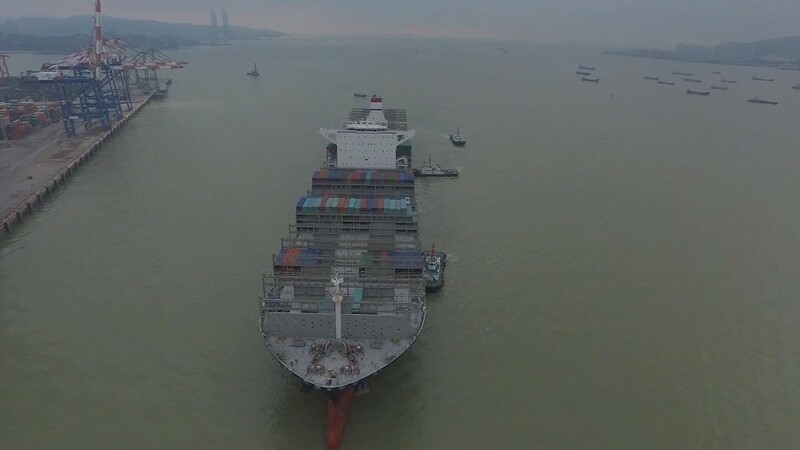 On board the giant container ship headed from China to the U.S.
Ready, set, shop! Chinese firms are opening their wallets for a record global shopping spree as they look to make up for slowing economic growth at home. Just one month into 2016, Chinese companies have announced plans to buy 66 foreign companies worth $68 billion. That's equivalent to 60% of the value of all such deals last year, according to Dealogic. The latest takeover came Wednesday: State-owned ChemChina offered $43 billion for Switzerland's Syngenta, a global supplier of pesticides and seeds. If approved by regulators, the purchase would be the largest overseas takeover ever by a Chinese corporation. A broad range of Chinese companies has fueled the record start to the year. And the deal flow is expected to continue, experts say. With growth in the U.S. and Europe strengthening, and China slowing down, foreign takeovers can help companies "cushion themselves against economic fluctuations," according to Boston Consulting Group. Overseas purchases are also a way for Chinese firms to expand quickly globally. And with China's currency losing value, CEOs may want to buy before the yuan loses any more ground.